I passionately believe making your bed is the simplest, earliest action in the day that one can use to set one’s energy in the right direction for the day. Also, it feels so good to come back to your bed at night and be greeted with clean and welcoming comfort and clarity. There is an energy attached to a made bed that realigns and refreshes you even before bed. Why rob yourself of that joy? Make your bed every single morning. I was just thinking about how I wanted to balance my audio book and physical book reading time. Recently, I’ve been soaking up audio books like sun rays at the beach but I need to start back up collecting some hard copy books. I love to gather insight and tactics for life through the non-fiction work, but I’m craving a good fiction piece now too. Perhaps I will listen to non-fiction audio books in order to execute my multi-tasking magic and read hard copy fictional books to get my dose of tangible magic. Also, it is good a thing if you have young children to have them witness you reading so that they will be more inclined to copy your behavior. I find it may be hard for my son to know I’m “reading” if there is no book present. When it comes to podcasts, we have access to a completely separate and massive universe of information and entertainment. One day soon I will solidify a golden lineup of podcasts I will listen to daily. Perhaps I will assign each day of the week to a different podcast. 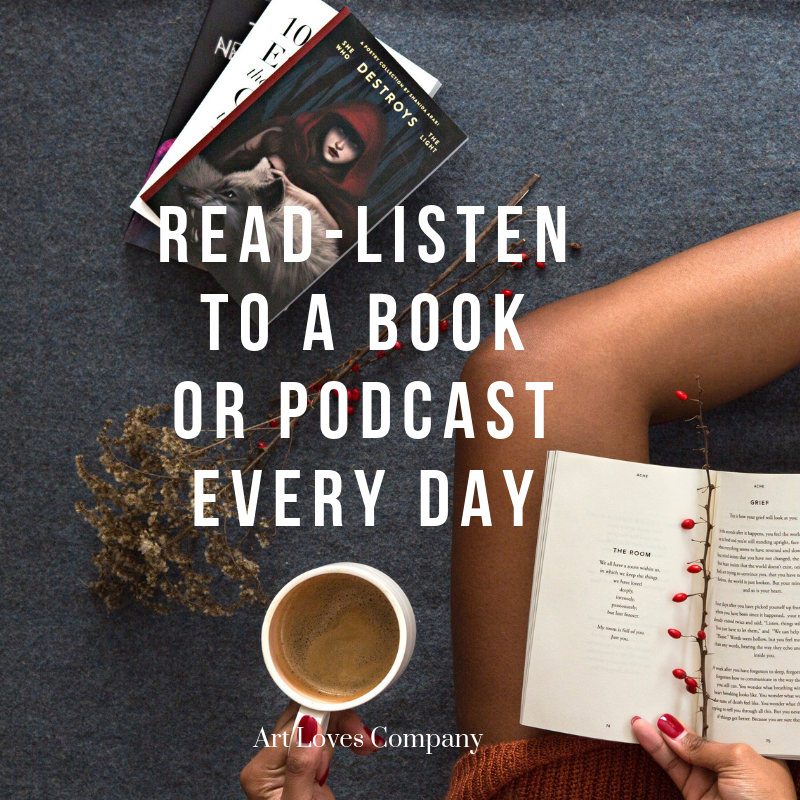 I can also assign different tasks to podcast listening time as well, such as my grocery shopping trips and kitchen cleaning sessions. Stating my intentions is something I need to tap back into doing consistently. Every single day I must state my intentions for that day and also for my life, my purpose. Your intentions are your compass, your guide during your daily walks toward your goals. Don’t walk in darkness and confusion. State your exact intentions so that you know what direction to aim all of your immensely strong energy. When you don’t have a place to aim your energy, sometimes it gets backed up within yourself causing a great deal of pain within yourself and even to those around you. My intentions for tomorrow will be to clean the entire house, prepare dinner, have a violin recording session and take a bath. My current intention for life is to be as valuable to the world around me as I can be, as well as take the information I download into myself, organize it and re-upload it back into the collective cloud in a fashion that can assist others on their journeys. State your intentions every day. The feeling of gratitude it so supreme, so healing. I am in love with the act of being grateful. I love when I pause for a moment and cycle through a quick list of things I am so happy to have existing within me and around me. I look back on my life as it is happening in real time and try to see the glorious beauty of my existence. I know that right now, these are the good times that I will one day look back on. The key to gratitude is to travel into the future in that moment and look back on your life before the moment is actually over and reminisce on that feeling. To me it’s a type of time travel. You get to travel back in time and experience a beautiful moment again simply by being aware of its beauty as it is occurring. We often times get trapped in our own private mental worlds unable to feel the living glory that surrounds us. We take for granted the people we love, the talents we have, the opportunities at our door. 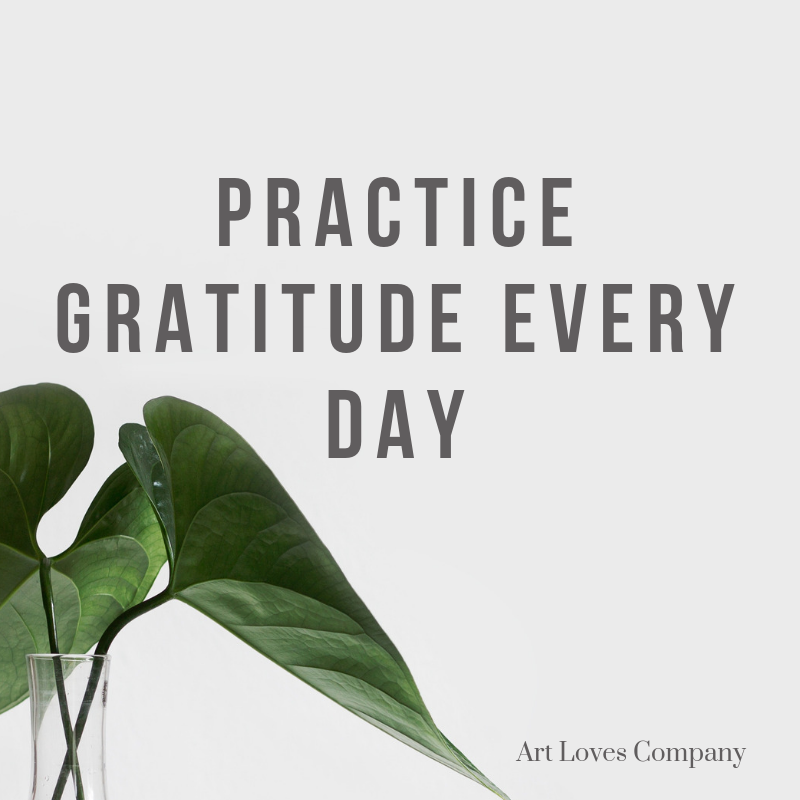 To activate your presence, learn How To Practice Gratitude every single day of your life. The contents of my vision board are always evolving. Some things I’ve received, others I haven’t, and there are a few things I no longer desire or require. I’m certain it’s about time for me to create my newest edition so that I can review it once a day. I’ve had a few different types of boards including the traditional scissors and glue style in addition to digital versions and Pinterest boards. Whether it is an analog or digital vision board, I’d like to have it somewhere easily accessible so its contents always remain fresh in my mind. Our eyes need to see shape, form and function much of the time in order to convince our subconscious that something is real. Plan out a moment to create or update your vision board if need be and then take a gander at it every day. Say the names of the things you have on the board out loud. One of the best things I’ve done for my development is to not only document the major events and feelings that I’ve experienced that day, but to also critique my performance for the day from an objective perspective. With this action, I refine my ability to step out of myself, freeing me from the gripping hold of my ego, and truly allowing me to see myself for what I am. I see where I went wrong that day and how I could have handled things better. I see where I excelled that day and make a note of what I did right. I observe what triggered me negatively. I discover I am genuinely pleased with myself when I perform well as a human being that day. Give yourself the opportunity to truly and utterly change by recapping and journaling each night. I use the journaling app called Perspective to capture the details of my day before bed. I wrote a review on the app discussing all the amazing features of the app and why it’s my favorite journaling app. I pray every day. Always have, always will. I’ll admit my praying routines throughout my life have been a strange mix of faith and fear. I like to do everything I can to ensure safety, favor, healing and blessings on my life and those I love. On the other hand, when it comes to meditation, I’m not as consistent. I suppose I often go into meditative trances throughout day but those moments aren’t always intentional and on purpose. The past few months I’ve adapted meditation into my routine as much as I remember to. I need to do better. I find meditation resets my energy to a level that I can control. Sometimes it gets out of control like a wild horse in need of taming. Meditation is my self-taming technique. There is a lovely app that I’ve mentioned in Daily Habits of Successful People called Oak. It is my go to app for meditation. I know I will need to write a separate post on that app very soon. Get an app to help you if you need it. Meditate daily to tame your energy as it starts to get a bit wild and uncontrollable. You need to be in a balanced state in order to execute the tasks needed to reach your goals in life. Earlier this year I gave birth to my daughter through an emergency c-section and I actually thought I’d never be able to sit up or move on my own ever again. After a couple months of recovery, I was able to start moving again on my own normally. I had a lot of excess weight and skin on my body that I found to be hideous. I was determined to lose all the weight before my annual birthday trip to New York. I also had some other deeper evolutionary goals I wanted to accomplish so I decided to start waking up at 4 a.m. and I did a very light workout targeting my desired areas. I also stayed so busy with my work and household that I ate a very sustainable diet. I fasted for a little while and lost all of the weight. I got my body back. The reason this happened is because o made a routine that included doing my 15 minute exercise every single morning. I didn’t go to the gym, I just did one action every single day for about two months. Exercise, stretch, move intentionally every single day and you will transform yourself. There are times I feel like all the powers of the universe are trying to convince me that water is the key to life. I know this but I still don’t act like I know it. Water will preserve your insides and your outside. When something gets dry, like a grape, it shrivels and ages. Drink water everyday. Soak in the tub often. Apply water-based solutions on your skin and hair. Water yourself everyday. Stay juicy not dry. Your brain needs to stay juicy. Your joints needs to stay juicy. Water heals, as it contains an oxygen molecule that travels through your body challenging various intruders to duel. Stay as juicy as possible, age slowly, think and work like a machine, soothe anxiety and boost your energy. Don’t be dry. Water yourself. I’m pretty certain my attachment to Frasier is mildly unhealthy, but watching that show takes me to a separate realm that fuels me with much joy and laughter. I work to prescribe laughter into my daily life because there is magic taking place within us when we are sparked with a joy that takes hold of our body, causing us to respond physically. Even if it’s just watching an episode for 7-15 minutes, it’s enough to pull me out of a dark place or elevate my mood even further. I have many other things that spark magic within me, like talking with certain people who are just so funny to me. Seeing various things on the internet bring me to laughter, although I try not to depend on the Internet for joy, as it can just as quickly turn to a place of darkness. You have to be careful. Guard the gates to your mind and seek out that which can spark the magic of laughter within you every single day. I hope this list inspires you in some way. It has inspired me just by going through and writing out things I already know. We need constant reminders and motivation like a car needs gas. We are never full for long. Remember to fill yourself daily with what you need to maintain peace and progress toward your destination.